Enhance the interconnections across school, home, and community contexts. The Center represents a transdisciplinary collaboration between faculty in the College of Education (CoE) and the School of Medicine (SoM; Department of Psychiatry and Behavioral Sciences) at the University of Washington. Through this collaboration, SMART facilitates more equitable, effective, and integrated approaches to research and technical assistance surrounding the design and implementation of evidence-based SEB interventions. For more information about the SMART Center's research activities and agenda, please see our recent overview article in The American Journal of Orthopsychiatry. 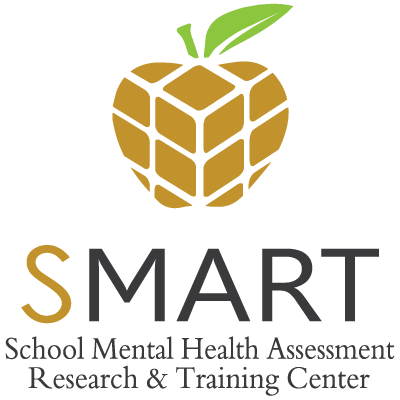 Also, please review this digestible brief on implementation science and practice in schools, a plain language summary that Dr. Lyon (SMART Center Director) wrote to support SAMHSA's Project AWARE grantees.